Nestled on the beautiful coast of Tanzania, Best Western Coral Beach Hotel is a tropical oasis for vacation and corporate travelers. Our boutique hotel in Dar es Salaam features luxury guestrooms and suites designed for comfort and wellbeing. Relax in elegantly decorated accommodations with finest amenities, such as flat-screen LCD televisions, Posturepedic beds, desks and complimentary WiFi. Get refreshed in spacious bathrooms equipped with hand-held showers, fine Italian bath ware, and luxuriant towels. Enjoy private dining with room service and relax on the balcony with breathtaking ocean views. As you make yourself at home, you'll find that all the little things that make your travels easier are at your fingertips-from free Wi-Fi to spacious room and bathroom. It's time to relax. Elegant rooms, featuring twin beds. Beautiful views of Indian Ocean from your windows invite you to explore what's possible and create lifelong memories. Enjoy the cool, crisp feel of subtle luxury adorned by breathtaking views of the Indian Ocean. 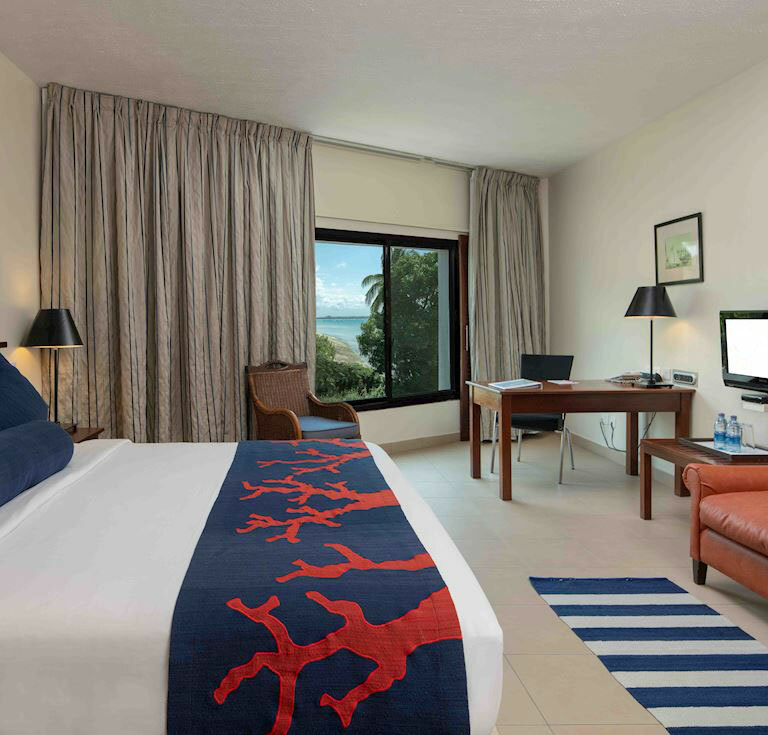 Stretch out and relax on the luxuriant king bed while you decide what adventures to discover next in Dar es Salaam. As you make yourself at home, you'll find that all the little things that make your travels easier are at your fingertips-from free Wi-Fi to spacious room and bathroom. It's time to relax. Elegant rooms, featuring one king bed. Outside, beautiful lush garden view, invite you to explore what's possible and create lifelong memories. A fabulous Dar es Salaam stay starts with incredible sea-view accommodations. Admire the beautiful seafront view that line the sparkling Indian Ocean from your furnished over-sized balcony. The fashionably styled comforts of your room hint at what's possible only at Coral Beach Hotel. Featuring one king bed.You're on your way to a flawless stay you'll never forget. 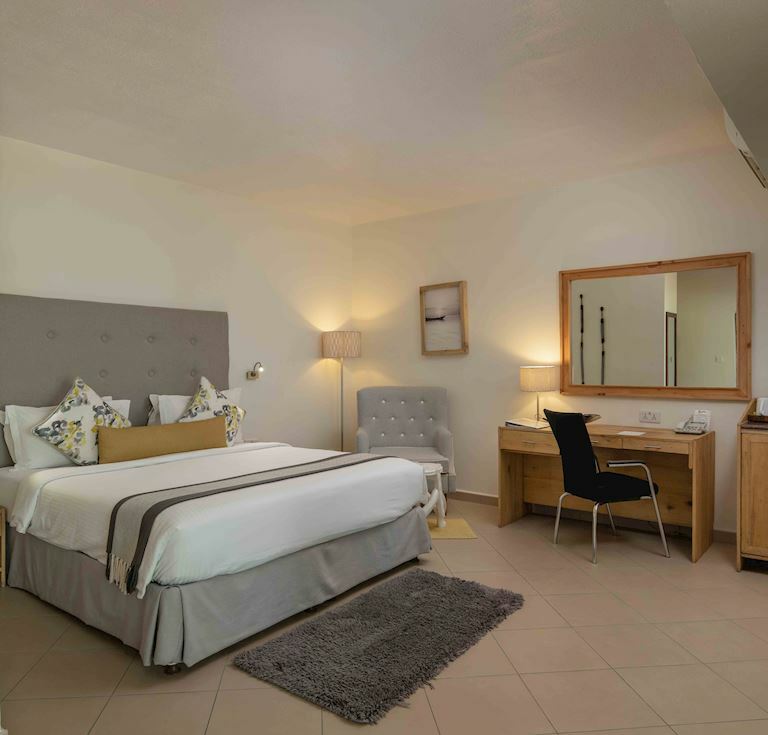 As you make yourself at home, you'll find that all the little things that make your travels easier are at your fingertips-from free Wi-Fi to spacious room and bathroom. It's time to relax. Elegant rooms, featuring one king bed. Outside, the beautiful windows views of the Indian Ocean invite you to explore what's possible and create lifelong memories. Let the refreshing breezes and soothing sun relax you during your morning coffee or evening cocktails on the cozy lounge chairs. From the private balcony, marvel at beautiful partial ocean views. Featuring one king bed.